Sometimes life just needs a little bit of an adjustment. Not everything always goes as planned. 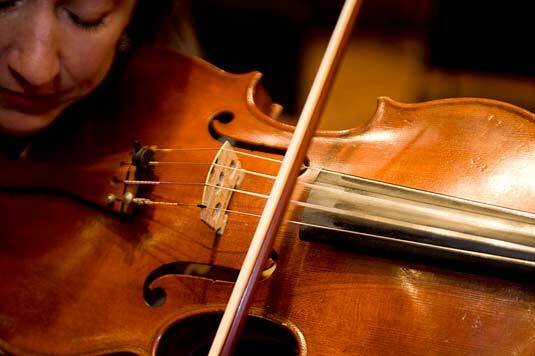 Life can be likened to a beautiful symphony – instruments need to be tuned up in order to play together in harmony. Some days our instruments are just off – some days are just bad days. But that is all they are – bad days. Without the bad, we wouldn’t appreciate the good. Finding the harmony in our symphony (the world around us) is about finding the balance in our own instrument (ourselves). Finding that balance will help the other instruments tune themselves to your notes and vice-versa. Beautiful music can only be made by looking at what is going on around you in your life and adjusting yourself accordingly. By tuning up your instrument, you are allowing yourself the opportunity to acknowledge what you are sounding like (how you are feeling) and you afford yourself the opportunity to bring yourself back into balance. Everyone has bad days. Allowing those bad days to take over the quality of your life and your inner balance is just as bad as leaving your instrument un-tuned for periods of time. It just takes a subtle adjustment to hear the vibration of change. Look around you, notice how you are feeling everyday and don’t just ignore what is going on. You need to hear the other instruments in order to play in harmony with your world. We are part of the whole. When we give up on trying to find that balance, we are the ones who suffer. When we allow ourselves to fall out of tune for long periods of time, we fail to give ourselves the chance to hear the sound of our own beautiful music. It is a form of self-sabotage. Wake up – find the beauty in the sound of your own happiness everyday. Never miss an opportunity to tune-up your bad day. Staying in tune will keep you performing beautifully in the symphony of life.